1) Buy some spice racks at Ikea or any other shop. 2) Paint them a bright colour that goes well with your bedroom colour. 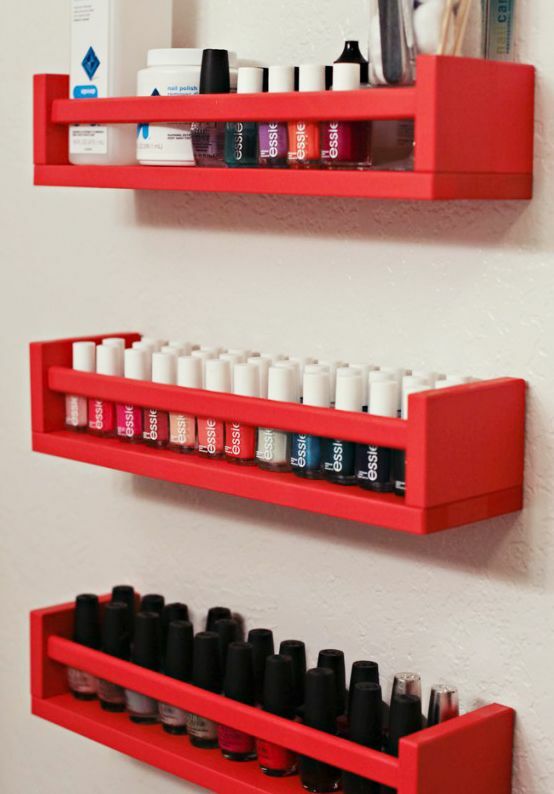 3) Hang them on the wall to store your nail polish bottles.